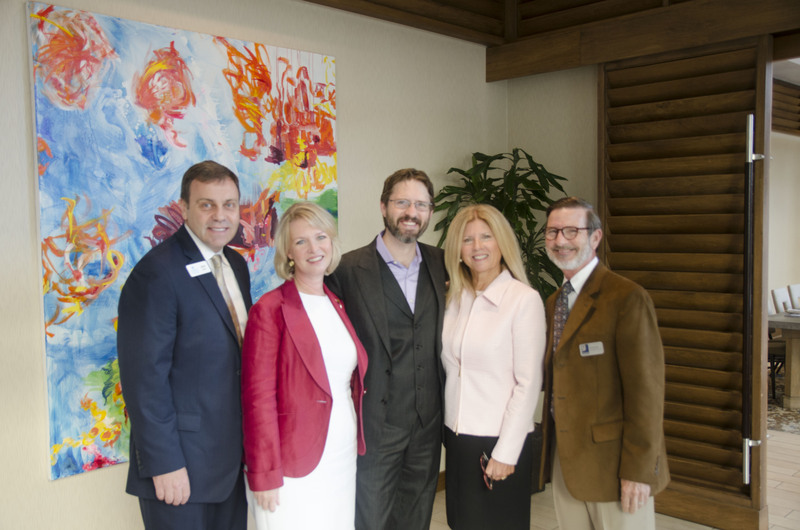 On Thursday, July 17, SRQ |The Magazine hosted a panel discussion on the philanthropic dynamics of the community. This gathering of top regional leaders throughout Sarasota and Manatee County generated synergies on efforts both counties are making to support non-profit organizations in the region. During the discussion at The Francis, panelists shared their insight on a substantial mix of topics, including methods of funding, donor demographics, and where the community’s philanthropic efforts are headed. Michael McMullan, President of Seaside Bank was the opening presenter, while Wes Roberts, Executive Publisher, Owner of SRQ Magazine moderated the discussion as the audience received a collaborative mix of perspectives from panelists John Annis, Vice President of Community Investment, Community Foundation of Sarasota County, Veronica Brady, Senior Vice President for Philanthropy, Gulf Coast Community Foundation, Sandra Frank, Chief Executive Officer, All Faiths Food Bank Foundation, and Bob Rosinsky, President and CEO of Goodwill Manasota. The next event in the 2014-15 series of symposiums, Education: Private and Public Challenges in Partnership with the Business Community, takes place on Wednesday, August 6, 2014 at IMG Academy Golf Club (11:30am-1pm). Tickets are $35/person and available online at SRQSB2.COM (ticket price includes a plated lunch). SRQ SB2 is sponsored by CS&L CPAs and IMG Academy. For sponsorship opportunities contact Ashley Grant at 941-780-2008 x204 or Ashley.Grant@srqmediagroup.com. We look forward to seeing you there!